Long Mountain Coffee is shade grown high on the Kona mountainside. 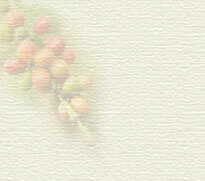 It is a full bodied, rich coffee that is best appreciated in the roast of a Viennese style. The deep earth roast delivers a lavish silky mouthful of sweet bright fruity notes closely followed by a long chocolaty finish. A seductive bouquet is intense throughout. 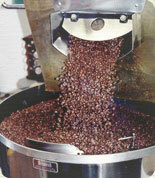 The roasting is done in small batches, meticulously monitored by Master Roaster Christine Sheppard. The electric powered Fluid Bed Roaster allows for all chaff and roasting residue to be automatically removed, untainted by any gas flavor. The beautifully roasted coffee is immediately sealed in foil bags with one way valves which preserve the full essence of the coffee beans.